Brian has a passion for helping his clients solve their financial issues and make progress towards their monetary and investment goals. 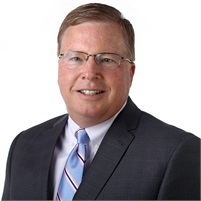 He has over 35 years of experience in financial advising, which lends perspective and insight into each unique situation a client may have. Brian has an economics degree from Ursinus College and is both a Chartered Financial Consultant and Chartered Life Underwriter. He attends numerous educational symposiums each year to continue his knowledge in the field. In the community, Brian has served as a board member for the New Jersey Special Olympics, coached both soccer and little league and played piano for various charitable organizations.